NIO's ES8 SUV was unveiled at the Shanghai auto show in April. Continental has been contracted to supply Chinese electric-vehicle startup NIO with parts for self-driving vehicles. Under an agreement signed last week, Continental will deliver technology for wireless charging, automated driving and digital cockpit technologies. The German company already supplies suspension systems and tires to NIO. 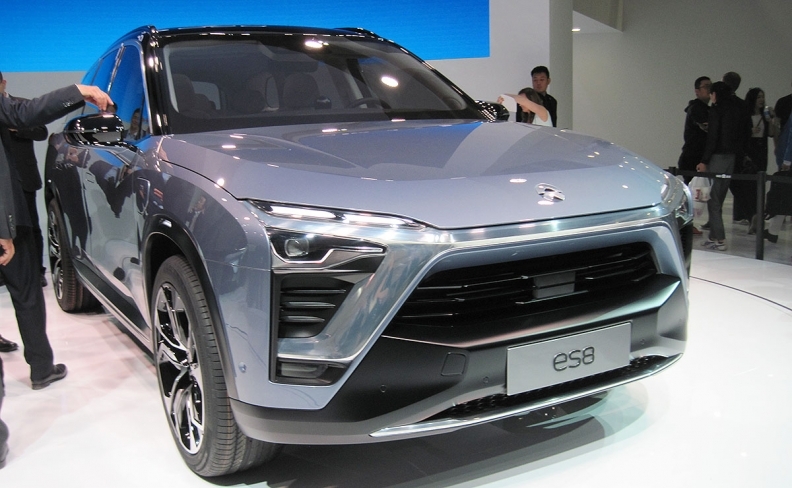 NIO, incorporated in Shanghai, displayed the ES8 battery-electric crossover in April at the Shanghai auto show. The vehicle will hit the domestic market early next year. NIO, previously known as NextEV, was the second Chinese client that Continental signed up last week. Continental also announced a deal with Baidu Inc., China's biggest search engine, to develop technology for self-driving and connected vehicles.